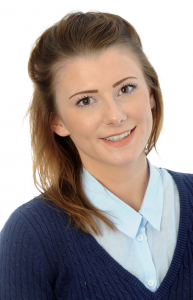 Lucy Clare, Health Education East of England Apprentice of the year, is currently working with the NHS whilst undertaking the Level 2 Diploma in Business Administration. We asked Lucy to share some of her experiences about her time on the course so far. I am studying the NVQ Level 2 Business Administration Apprenticeship. I chose this course after having a patch in my life where I didn’t really know what I wanted to do, and I thought what an amazing opportunity to get into the NHS. I feel privileged to be part of such an amazing organisation with core values I believe in. The enthusiasm to employ, develop and obtain apprentices is astounding. The strive and passion to develop the workforce in the NHS is so strong and apprentices are certainly not overlooked when it comes to development opportunities. I have loved the independence and confidence I have gained during my time as an apprentice, I’m achieving, earning and learning and I couldn’t have asked for better support from both Health Education England (HEE), and the College of Animal Welfare (CAW). I chose to study at CAW as they have their own business school, and as I was studying a course in business felt this would be the most appropriate and tailored to the requirements of the course, and they have gone on to prove me right. The Virtual Learning Environment (VLE) offers outstanding facilities and resources and can be accessed from anywhere with your personal login. This has been a reassuring and reliable website as it holds all the information you need to support you in passing your Apprenticeship. I have now secured a permanent role with HEE in a new team. My role is, National Project Support Officer for Volunteering. I am so excited to be working on a brand new project, and I never imagined I could do this well and progress the amount I have in the space of only 11 months. My advice to anyone thinking of applying for an Apprenticeship in the NHS through CAW is do it! You will not regret it, and it could be the start of an exciting and promising future in the NHS for you.